Can't believe another week has flown by. 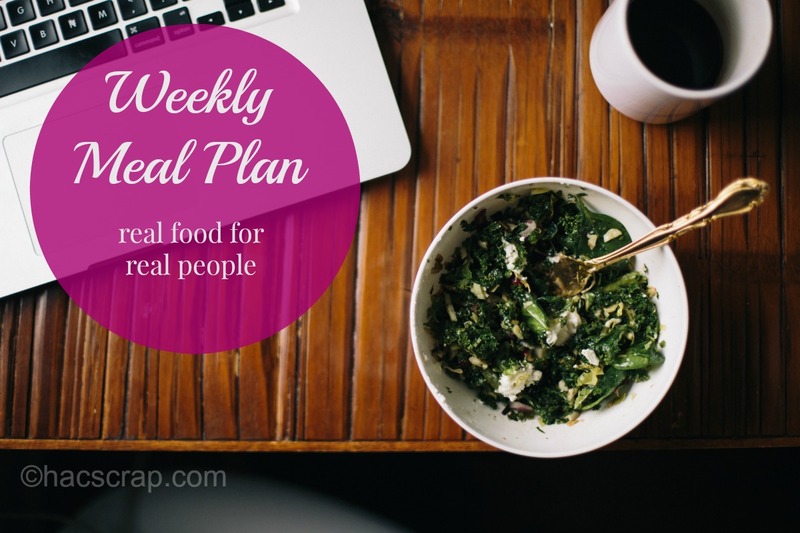 If this is your first visit, welcome to my weekly meal planning post. This is the space where I try to make weekly meal planning easy for you, by sharing my tips and ideas to inspire you to create your own plan. If you are a regular, welcome back and thanks for stopping in! This is a busy week - probably our busiest of the summer, with me looking to only "cook" three full meals. My one issue this week, is the unknown weekend. My oldest is scheduled to play in a LAX tournament all weekend so I'm not sure what that means for dinner-time. We will play it by ear, and I will have some stuff "in-house" in case. Wednesday - Mom's heading out AGAIN - boys are on their own tonight! Thursday - White Fish Packets on the Grill, Zucchini, Roasted Potatoes. If you aren't familiar with Amiyrah from 4 Hats and Frugal . . . she is doing some cool meal planning on Periscope. It's worth a watch, to see just how easy it can be. (Plus she is very entertaining and one smart cookie!) Sometimes I think our real obstacle in meal planning is that we make it harder in our minds than it really needs to be. Happy meal planning! What's for dinner at your house this week? 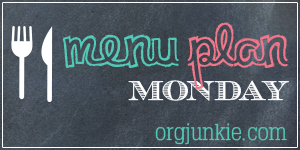 This post is linked up at I'm An Organizing Junkie, check it out for even more meal planning tips and inspiration to create a weekly meal plan for your own family.